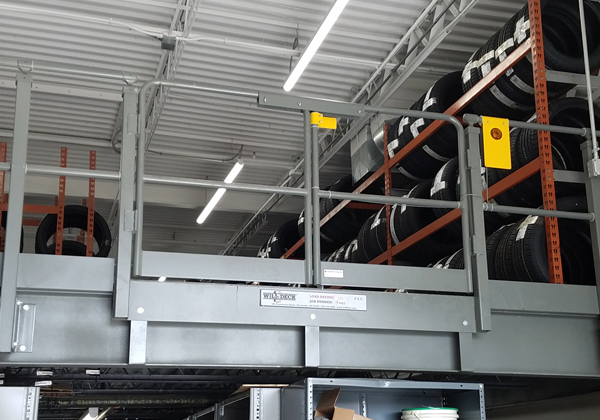 Wildeck mezzanine swing gates are available with a standard clear opening of 6' - 0", but widths up to 8' - 0" can be specified. 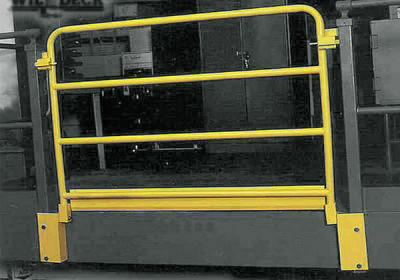 Swing gates are typically side mounted; however, a deck-mounted option is available. 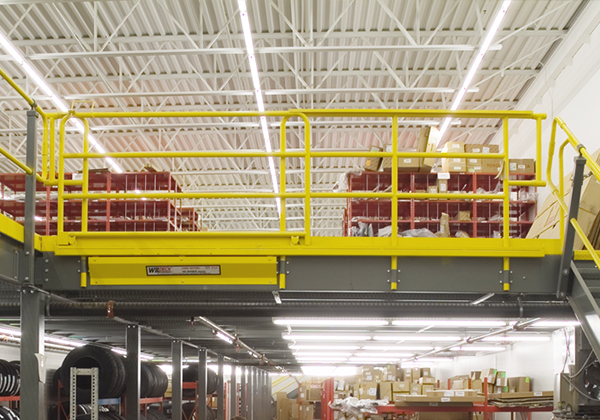 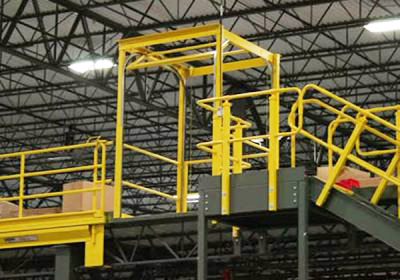 Gates can be fabricated with 2-rail, 3-rail, or mesh systems to match mezzanine or existing rail systems. 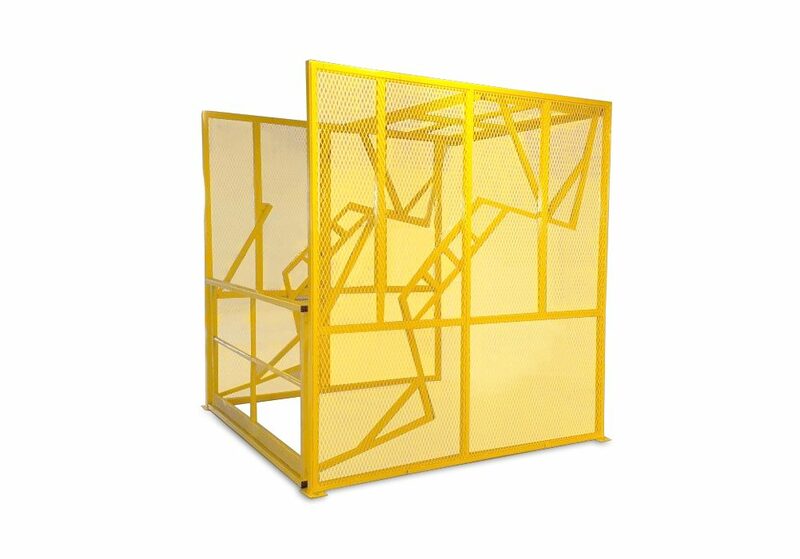 Wildeck swing gates are bi-parting and latched via a slide lock and barrel bolt. 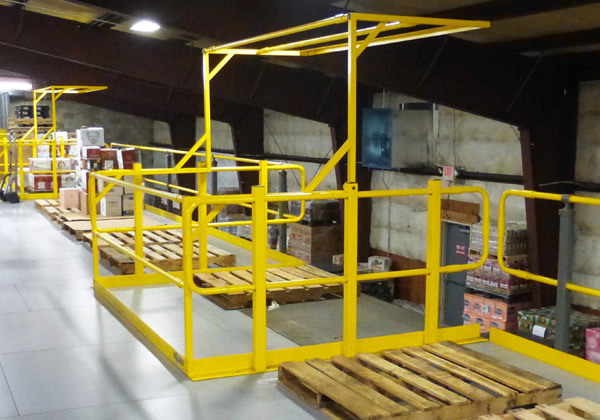 Custom gates can be provided to meet special requirements. 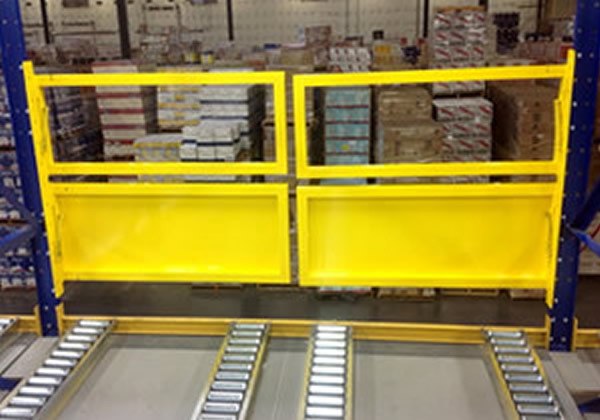 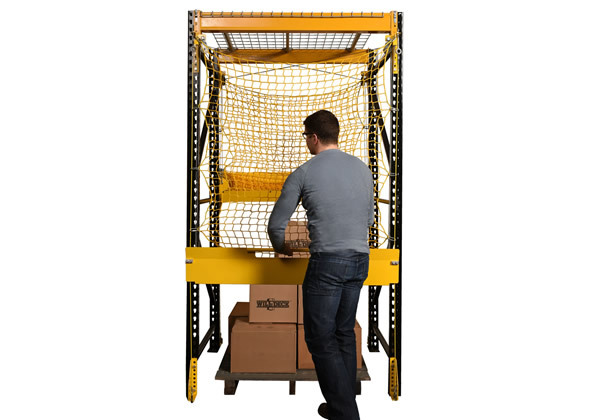 A spring loaded option is available to return doors to a closed position when not in use thereby increasing worker safety. 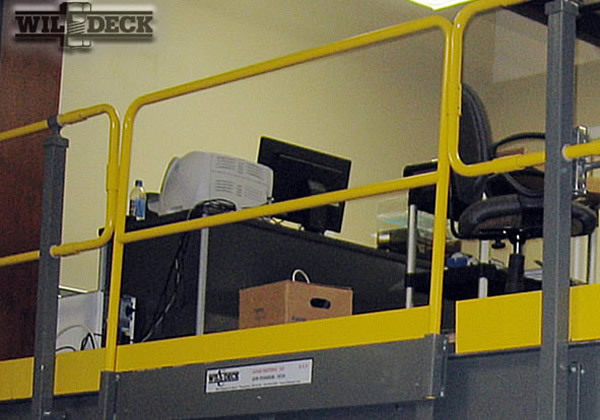 "I was impressed by Wildeck's commitment to safety and their proactive approach to going above and beyond OSHA standards. 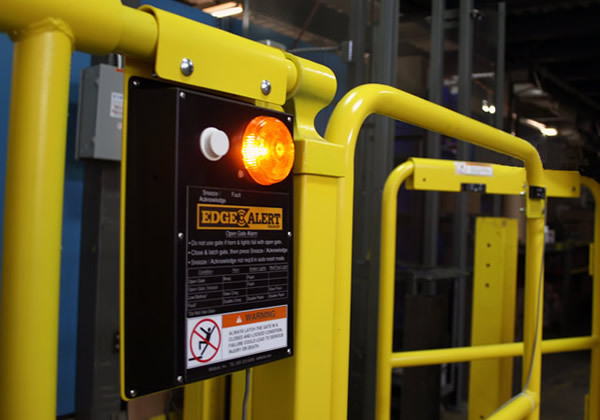 The cost of installing the access gates armed with EdgeAlert™ is low, especially when you consider your workers' safety. 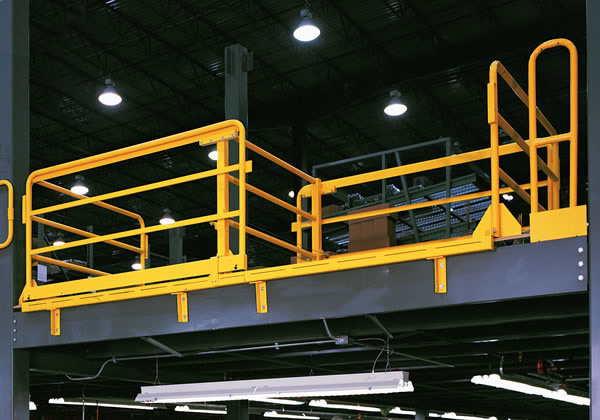 Plus, it lowers workman's compensation claims."